If you love gardening, you may have spent those cold winter months gazing at landscape design books, dreaming of warmer days and the chance to implement all your new ideas. Maybe you have planned a vibrant, colorful bed to accent that sunny corner of your home. Or perhaps a calming green and white shade garden under your favorite tree. Finally, sunny days have arrived, and you’re ready to get started! But as you head out to sink that spade into the soil, you may notice there has been a change in your landscape. Maybe a prized tree has lost some branches to winter ice storms, creating a site that is much sunnier than you remembered. Did that gentle afternoon sun of winter transform to something much more intense as the days grew longer? Or maybe a young tree has come into its maturity, creating more dense shade than it had in the past. Changing light conditions throughout the year is something we must take into account, especially when landscape planning is done outside the growing season. But if you find your site no longer suits the requirements of your intended plant materials, don’t panic! Some simple substitutions can ensure you get the look you want, with plants that will thrive in your conditions. 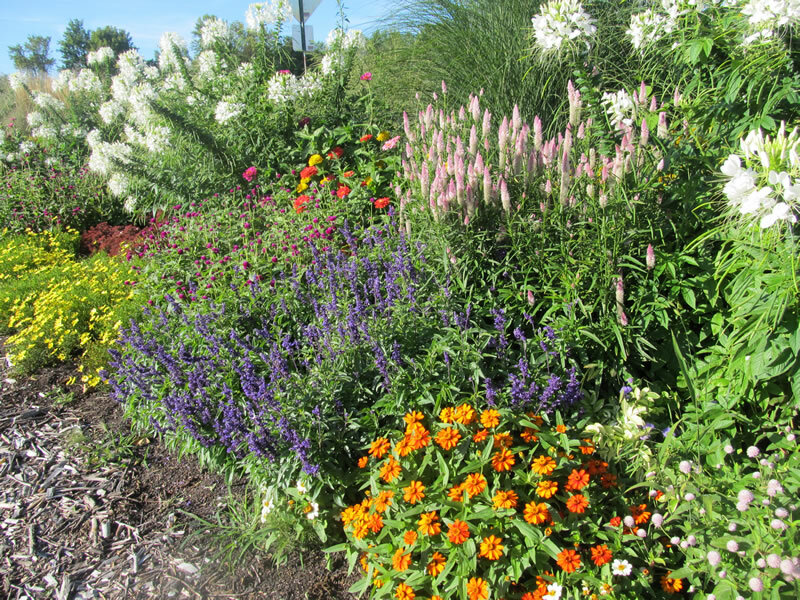 Careful planning ensures contrasting colors and foliage, whether a garden is in sun or shade. If you are finding more shade than you expected in your garden, it doesn’t mean you have to give up color. Spring flowering bulbs can be an excellent choice under a deciduous tree, since the sun easily penetrates the sparse canopy at this time of year. Daffodils and grape hyacinth (Muscari) are pretty partners that will return annually. 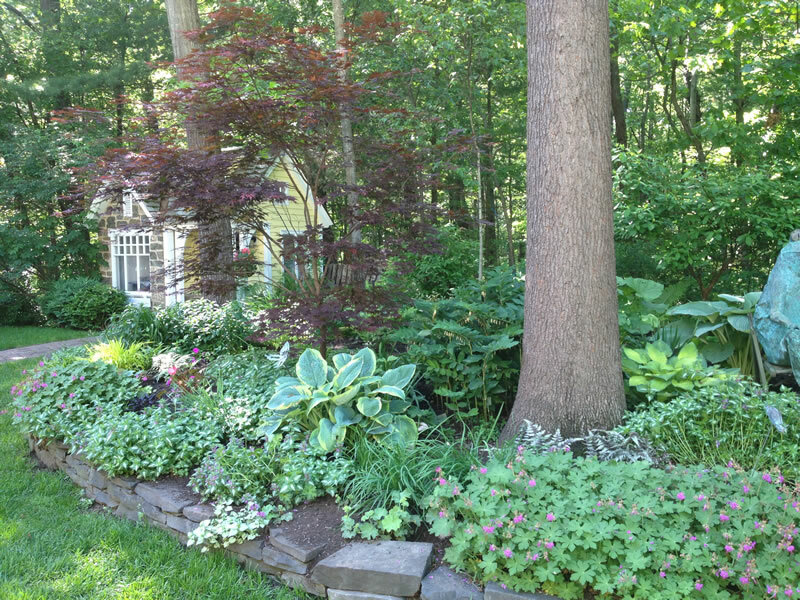 Hide their fading foliage with perennials that will enjoy the thickening shade in summer. Hostas are a beautiful, if ubiquitous, choice, but Brunnera could also add a sweet sparkle to a shady spot. Lungwort (Pulmonaria) is a magical choice for shade, with white-spotted leaves and pink and blue flowers appearing simultaneously on the same plant. Plumes of feathery Astilbe never fail to impress, and shades from lavender, to various pinks, to white allow gardeners to tailor the look to their desired mood. Finally, lady’s mantle (Alchemilla mollis) is a versatile option, with scalloped foliage and chartreuse clouds of bloom that can mingle with a surprising variety of companions. 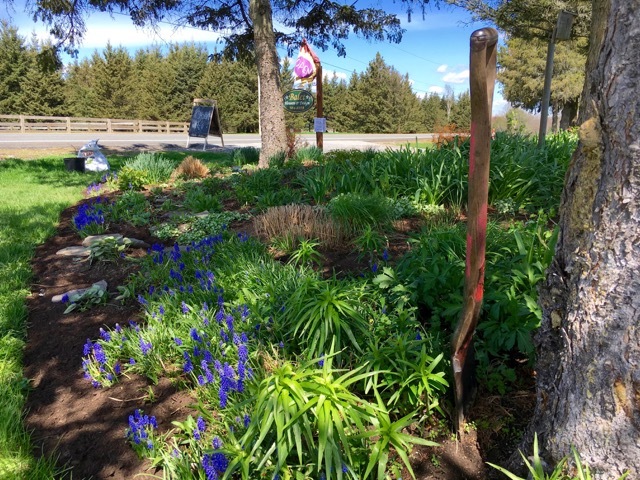 Purple muscari add a pop of color to the shade garden. What if you have the opposite problem? A site that now has more intense sun than expected? Happily, there are options that can take the heat. If you were thinking of using coral bells “Palace Purple” (Heuchera) but are worried about it burning out in the hot afternoon sun, try Penstemon “Dark Towers” for the same hit of purple foliage. Bordering a hot walkway, a tapestry of stonecrop (Sedum) could be a fun option. Textures of stonecrop abound, from tiny grape-like clusters and rosettes, to trailing and upright varieties, and all in an array of foliage and flower colors. If the succulent look of stonecrop isn’t your thing, maybe the soft, silvery, cloudlike feel of wormwood (Artemisia) is more your speed. 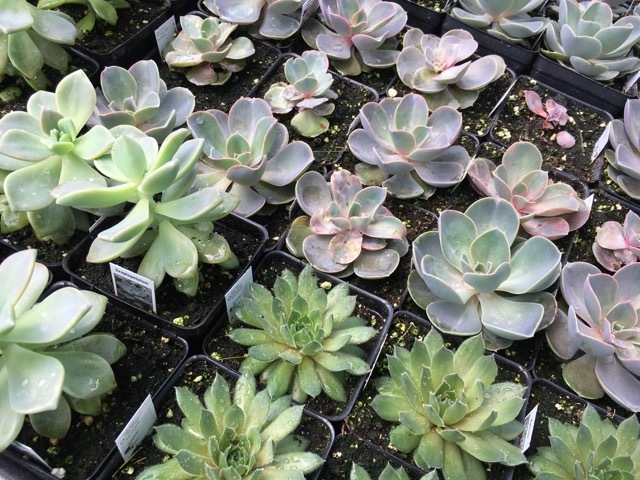 Several varieties with differing textures and growth habits are available. If you like the soft foliage look, but crave color, yarrow (Achillea) may be for you. It blooms in a variety of colors, and its foliage is often aromatic. Succulents are an excellent full-sun choice along hot walkways and terraces. So if a sudden change of plans for your site is in order due to more or less sunlight than you expected, don’t fret! There are plenty of plants that can act as substitutes in your garden plan, and one may even become a new favorite!